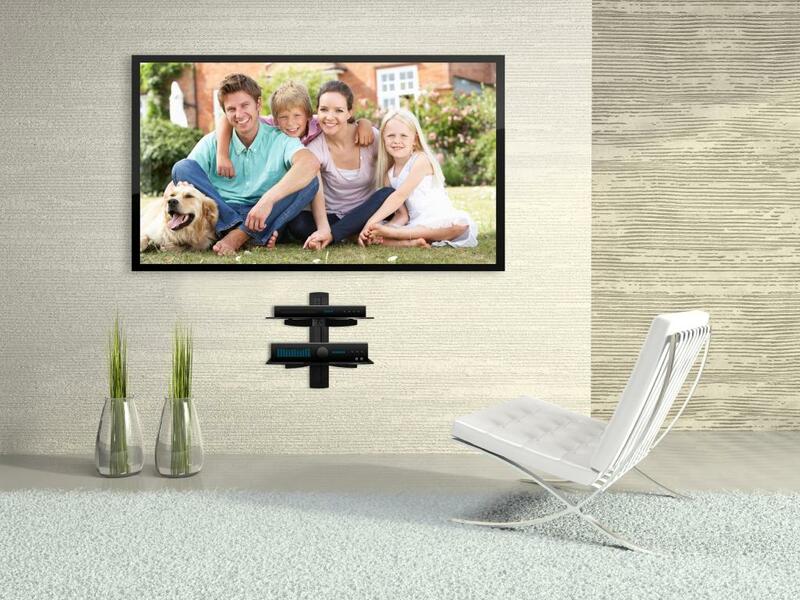 A TV wall mount brackets with shelves will help you to locate the TV in a room. It also helps you get more spaces. However, when the TV is already mounted, people still look for some places to put the accessories such as DVD players, remotes, speakers and consoles. Wall mount and shelves can be combined to be more useful and space saving. It offers locked storage for those more things. But before buying TV wall mount brackets with shelves, you need to consider some things. This is the first and important things you should do. You have to check whether the TV is well-matched with the bracket you will buy. Both the bracket and TV should have a claim that they are one of VESA compliant. It means that the TV mount with shelves you will buy and your TV requires the Video Electronic Standards fully. Then they will match perfectly well. However, if your TV is not a compliant TV then you can purchase the special adapter plate which can greatly match with VESA compliant TV brackets. You should ensure that the shelving is flexible. If it is not flexible, then it will limit its effectiveness of the shelving. You can put few DVDs on the shelf or use the shelves to hold small devices such as gaming console or DVD player. If you have the flexible one, you can be easily arrange the shelves up or down based on your preference. This is of course can be more useful and effective since you can put many things which are perfectly placed in the shelves. Serving more purpose, the TV wall mount brackets with shelves should be large and deep especially the shelves. Typically, you can put the DVD player and gaming consoles right on the shelves. It will be more effective because you can arrange this spot for entertainment spots and ease you to find your favorite things. When you are ready to place your things on the shelves, you should read the guidelines from the manufacturer specifically about how much the bracket can hold the weight of your things. Make sure the weight of the items on the shelves and the TV will not be across the limit of maximum weight. This is very important before you assembly the shelves. The style of wall mount is commonly not the most important as long as the TV can rotate, roll and turn as the users’ preference. But if you have the addition of shelves in the wall mount, then you have some factors to think about. 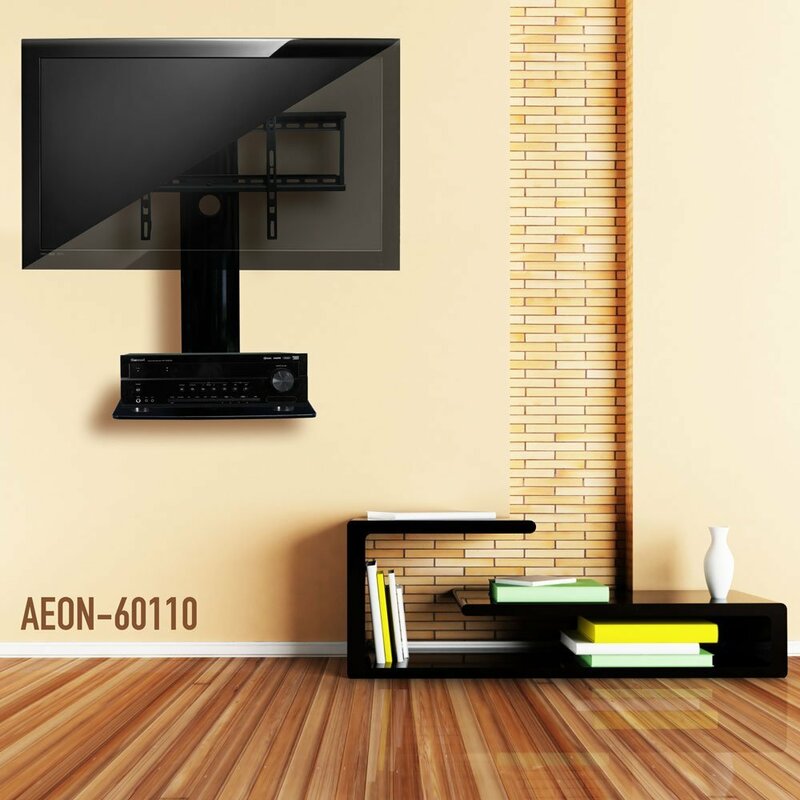 For example, the room which decorates as retro or vintage will be great roam with TV brackets with wooden shelves. For modern style room, it is better to have dark and thick glass shelves. Those shelves will match the décor perfectly. You should think carefully on your decorating style so you can look for the TV wall mount brackets with shelves which will great for your room. The advantages of having flat-screened TV are that you can place it on the wall. You can save the space, improve the decoration on your home and enhance visibility. At home, you can choose many spots to mount the TV. Some people opt to place the TV over the fireplace. Some others put the TV in the suitable and ordinary place just like in the kitchen or office room. For home movie theater, you should get the very big flat screen TV. There are many various options for the bracket to make people are able to place the TV creatively. You can decide to mount your TV by yourself as well. Choose the right TV wall mount brackets with shelves which are suitable with your TV. There will be many types of TV brackets available in the nearby stores. Before you choose the bracket, you have to consider on how you will watch the TV. Some people don’t want to do the reposition. For those people, they will need stationary mount. However, moving TV bracket will be much better for people who like to watch TV from many angles. This bracket can also be effective if you want to decide the TV placement. Then just right before you buy, you should decide on which type is suitable with your TV. You should know very well on how to install before you mount the TV at home. It is very crucial to read the instructions carefully whether from TV and bracket. If you don’t do this, it will lead to injury or damage to the TV. It is better and more safety if you ask for helps from friends or relatives. Before mounting the TV, you have to choose the wall space. Make sure the wall is able to support the TV’s weight. To make sure that the TV will not fall down or break the wall, you should attach the bracket to the stud. It is the best way to get safety installation. Before placing the TV, you should attach the bracket strongly to the wall. The mount and TV should be installed on the wall evenly. It is even better to do the wiring before placing the TV. The cables may be rerouted to the wall. To ease you to get the suitable TV mount bracket, Video Electronics Standards Association or called VESA has the standard for the whole patterns. The standard can be used for all flat screen displays such as TV. Without the help from VESA, you will spend much time to find the right mount bracket. Flat screen TV normally has the series on the back. VESA provides the guidelines to place the TV based on the weight and size. This is to make sure that the TV will be more stable and secure on TV wall mount brackets with shelves. Below are some good tv bracket list. This data taken from amazon.com, updated price you can go there. For n/a (not available) and today updated new price, better check it out on your favorite online store.